Two past Larry H. Miller Tour of Utah champions are among the starstudded field of 121 athletes representing 20 countries announced today on the preliminary rosters for the 17 men’s teams expected to compete in the 14th edition of “America’s Toughest Stage Race.” Starting Monday, Aug. 6, in St. George and finishing on Sunday, Aug. 12, in Park City, the internationally-sanctioned stage race boasts 31 riders with Grand Tour experience and 25 riders who have won national championships. The Grand Tours of professional cycling — Tour de France, Giro d’Italia, Vuelta a España — are the ultimate tests of endurance, each spanning three weeks of racing. Among the athletes who have competed in these Grand Tours, 13 riders have competed in all three races over their careers, and 11 have competed in two of the events. Twelve riders in the Tour of Utah field most recently competed in the 2018 Giro d’Italia. Among the Tour of Utah alumni returning to compete in this year’s race include eight stage winners and seven classification jersey winners, including two General Classification champions. Canadian Rob Britton will lead Rally Cycling to defend his 2017 overall title. American climber Joe Dombrowski, who captured the overall G.C. crown in 2015, returns with EF Education First-Drapac presented by Cannondale. American Brent Bookwalter of BMC Racing Team has both a stage win (2017) and a Utah Sports Commission Sprint classification jersey (2015) on his resume. His stage win came on a mountaintop finish at Snowbasin Resort. He is also one of the prominent riders who has competed in all three Grand Tours. “I always enjoy and appreciate when the Tour of Utah has a prologue or a non-uphill time trial, because it rounds out the race,” said Bookwalter about the time trial stage to begin race week in St. George. “By adding in a prologue, it balances out the race a bit and forces the climbers to be in their best form in the race against the clock. The classic Salt Lake City circuit is one of my favorite stages of the Tour of Utah because it brings us back into the city and in front of the great crowds that line the course.” Bookwalter finished second last year at the Salt Lake City stage. 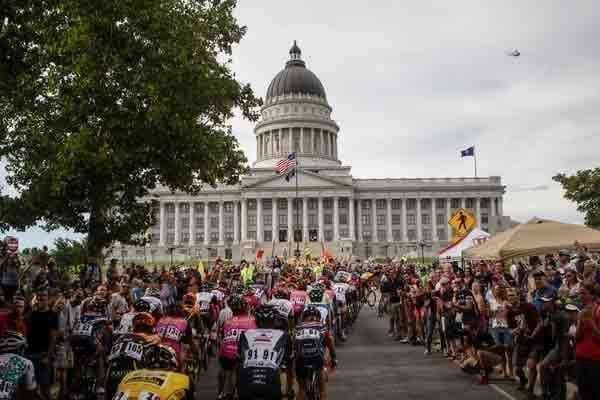 The Larry H. Miller Tour of Utah continues to be free for all spectators, making professional cycling one of the most unique professional sports in the world today. This year’s Tour of Utah is one of only two men’s professional stage races graded 2.HC on the UCI America Tour. The contest is also part of USA Cycling’s Pro Road Tour. The course covers 548 miles of racing and 43,780 feet of elevation gain for the seven days. The longest day will be Stage 3, recently extended by 10 miles to a total of 116.8 miles (188 kilometers), which will start at Antelope Island State Park in northern Utah, pass through Hill Air Force Base and finish in Layton City. All course maps are available at tourofutah.com. BMC Racing Team has won the overall team classification the past two years and returns with another solid roster. Joining Bookwalter is Joe Rosskopf (USA), the reigning U.S. Pro Individual Time Trial national champion. Rosskopf finished sixth overall in the 2016 Tour of Utah. Making his first appearance in Utah in seven years is Tejay van Garderen. Currently racing in the Tour de France, van Garderen won a time trial stage in Utah in 2011. Swiss rider Tom Bohli is a two-time U23 silver medalist in the time trial. In addition to Dombrowki, Team EF Education First-Drapac presented by Cannondale will feature Canadian Michael Woods, who won Stage 5 of the 2015 Tour of Utah and finished the week second on G.C. American standouts are Nate Brown and Alex Howes. Brown, a former U.S. U23 ITT champion, wore the King of the Mountains classification jersey at two stages of last year’s Tour de France. Howes, who has ridden all three Grand Tours, was the Best Young Rider at the 2009 Tour of Utah. Mitchelton-Scott, Australia’s only UCI WorldTour squad, last competed in Utah in 2013 as Orica-GreenEDGE. The roster includes former Australian junior road race champion, Lucas Hamilton, and fellow Aussie Cameron Meyer, who finished second on G.C. at this year’s Herald Sun Tour. Two-time Tour of Utah stage winner (2015, ’16) Kiel Reijnen (USA) is part of the Trek-Segafredo roster that includes seven riders from five countries. He will be joined by three former national champions — Laurent Didier, ITT for Luxembourg; Michel Ries, Junior ITT for Luxembourg; and Greg Rast, two-time road race for Switzerland. Team Lotto NL-Jumbo brings two Americans who have excelled in Utah. Neilson Powless, last year’s U.S. U23 ITT titleholder, won the Best Young Rider classification and finished fourth overall at the 2017 Tour of Utah. Sepp Kuss finished second on last year’s Stage 2 and finished ninth on G.C. Among these rising stars of the peloton for Hagens Berman Axeon are Americans Jonny Brown and Sean Bennett. Brown, brother of Nate, is the reigning USA Cycling Professional Road National Champion. 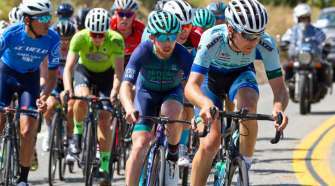 Bennett is a stage winner at this year’s Giro Ciclistico d’Italia, the “baby Giro” for U23 riders, and was named the Best Young Rider at the 2018 Tour of the Gila in New Mexico. Holowesko-Citadel presented by Arapahoe Resources has riders from five countries on its roster to support Eisenhart. Andrei Krasilnikau is a two-time road race national champion from Belarus. Cuban Ruben Companioni, who finished second on a Tour of Utah stage in 2016, captured the G.C. title at this year’s Joe Martin Stage Race. Israel Cycling Academy returns to Utah for a second year. The team competed as a wild card entry in May’s Giro d’Italia with three of those riders coming to Utah — Ben Hermans (BEL), Rubén Plaza (ESP), and Guy Sagiv (ISR). Former Colombian road race champion Edwin Avila Vanegas is a featured climber. Nippo-Vini Fantini brings a squad with one Japanese and six Italian riders. Sho Hatsuyama is a former road race champion of Japan, and won the KOM at last year’s Tour of Japan. Former Italian Road Race national champion Ivan Santaromita is also a veteran of all three Grand Tours. Rally Cycling is led by the defending G.C. champion of the Tour of Utah, Britton, who is fifth overall in the PRT national standings. Two Americans returning on the roster are 2017 Utah stage winner Ty Magner, and 2017 Tour of Alberta champion Evan Huffman. The UnitedHealthCare Pro Cycling Team has participated in every edition of the Tour of Utah, and is the top ranked PRT men’s team. Two riders have won stages at the Tour of Utah, Lachlan Norris (AUS) and Travis McCabe (USA). Norris won Stage 7 in Park City in 2015, and finished sixth overall that year. McCabe, the 2017 U.S. Pro Criterium champion, won stages at the 2017 and 2016 Tour of Utah. He also claimed the Utah Sports Commission Sprint classification jersey last year. New UCI Continental team, 303 Project, features Flavio de Luna, a former Mexican ITT national champion. He finished in the Top 20 of the G.C. in Utah in 2015. Teammate Griffin Easter (USA) captured a stage win at the 2018 Tour De Beauce. All the riders for Aevolo Cycling are under the age of 23 and qualify for the Best Young Rider classification. The current ITT national champion for Mexico, Luis Villalobos Hernandez, is riding for Aevolo Cycling. At 20 years of age, he will also compete for the Best Young Rider designation. Another 20-year-old rider to watch is Gage Hecht, who was fifth in this year’s U.S. Pro ITT national championships. With more than 40 wins so far in 2018, Elevate-KHS Pro Cycling has battled UnitedHealthcare as the top PRT team this season. The team will be led by Canadian James Piccoli, who finished 10th overall at last year’s Tour of Utah. Most recently, Piccoli won the G.C. title at the 2018 Tour de Beauce. American Sam Bassetti won the sprint classification at the 2018 Joe Martin Stage Race. 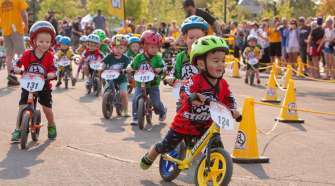 Jelly Belly presented by MAXXIS returns to Utah for a ninth year. The team will feature American Jacob Rathe, who climbed into the Utah Office of Tourism KOM classification title last year. He won the bronze medal at the 2018 U.S. Pro ITT nationals. Mexican Ulises Alfredo Castillo Soto placed second in his country’s road race championship this year. Australian Lionel Mawditt was third on G.C. at the Joe Martin Stage Race. Australian-based mobius BridgeLane was added to the Tour of Utah lineup earlier this month, replacing Bardiani-CSF. 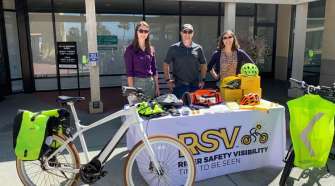 A UCI Continental team, mobius BridgeLane features American Russell Finsterwald, who earned a mountain bike national championship in short track cross-country in 2015. The team will bring two riders who finished in the Top 10 at the Oceania Continental Road Race Championships, Connor Brown (NZL) and Conor Murtagh (AUS). Silber Pro Cycling stockpiles an all-Canadian roster for a return to Utah. Having recently swept the podiums in the U23 ITT and criterium disciplines at the 2018 Canadian Road Championships, Silber will bring several of these performers. Nicolas Zukowsky won the Criterium title and Adam Roberge took the U23 ITT title. PierAndré Côté, who finished with bronze in the crit championships, won two stages at this year’s Tour de Beauce.